Don’t panic. The only reason for confusion is that anything to do with HMRC, not least a letter from them asking for money, sets us all a-quaking. Payment on account is actually designed to make your life as a self-employed individual easier, not harder. Self-Assessment often becomes the most feared moment of the year for the self-employed. You do your bit, make sure you get the form submitted on time, just to be rewarded with an eye-wateringly large bill. It’s not exactly your favourite past-time. Payment on account was actually designed to take the sting out of that moment. So we repeat – it’s actually there to help you. Plainly and simply, it’s a way of spreading the load from that initial eye-watering bill, and instead enabling you to pay in two instalments instead. In a nutshell, it’s a way of splitting your self-assessment tax bill in to two halves. HMRC do this by looking at your tax bill for the previous year and calculating approximately half of your anticipated bill to pay – in advance. It’s kind of like a way of squirreling the pennies until they are needed. Your first of the two payments will be due on 31st January – the same day that you clear your tax bill from the year before. The second instalment is due six months later on 31st July. It spreads the load (but yes, the cynic can also be forgiven for thinking it gives the Exchequer a handy little boost in the middle of each year). How Much Will a Payment on Account Be? As we said, it’s calculated on the previous year’s bill, as a forecast amount. Typically this means that each of the two instalments will be roughly 50% of the tax you are expected to be liable for. Of course, it’s not an exact science, and self-employed people rarely make the same amount two months running, let alone two years. Therefore, there will always be some tallying up and balancing out to do. It’s worth noting that Payments on Account also include your anticipated Class 4 National Insurance Contributions. Not everyone has to pay their tax bill on account in this way. If your tax bill was small (less than £1000 after deductions) then you just pay in one instalment. Similarly, you won’t be required to pay on account if, in the last tax year, over 80% of tax due was deducted at source. Don’t worry – the HMRC are always going to let you know! 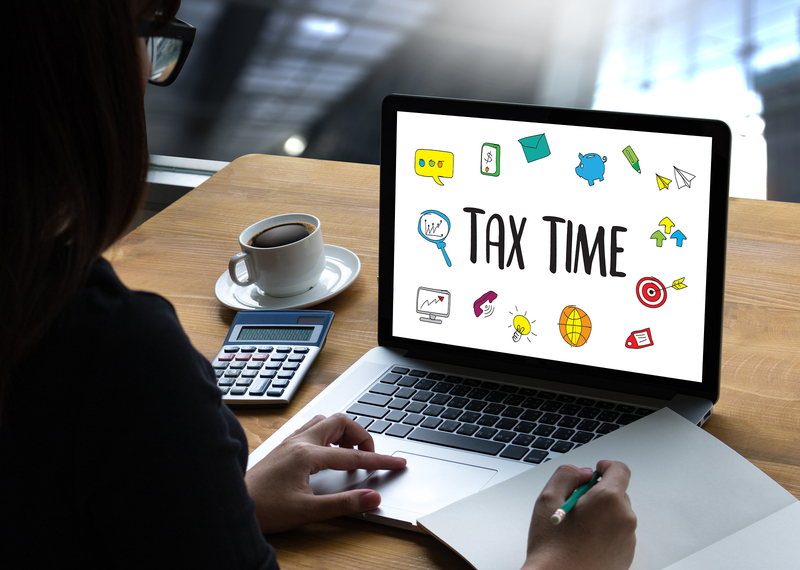 You’ll either receive a letter detailing the amount following your tax return being processed, or you can simply log in to your online HMRC account. You’ll also find that you’ve got some time on your hands. You don’t need to pay immediately, just make sure it’s by the 31st July of the year in which the tax is due. What if I Know My Tax Bill Will Be Less Next Year? Good point. You don’t want to be handing over cash in anticipation of income you’re unlikely to make. This could apply for all manner of reasons such as an extended absence due to maternity leave, a sabbatical, you’ve lost a big customer or you’re winding down towards retirement. If you know that you’ll be making less money over the coming tax year then you can apply to reduce the amount due on your payment on account. However – a word of caution – always err on the side of caution. If you get your forecasting wrong then the HMRC treat it as unpaid tax and you’ll be stung for interest. It might be more prudent to let them give you a rebate instead.